Home › Uncategorized › Mineral Springs: A Spa in Your Backyard! Not only is it easy to maintain a Mineral Springs pool, but the benefits of it are countless. The definition of the word “spa” actually is a place providing therapeutic mineral springs, so what does that tell you?? With this system, you can have your very own spa in your backyard! If you have a chlorine generator, the best chemical system for you to use is Mineral Springs from BioGuard. If you thought the 3-step chemical programs that we already discussed on this blog seem simple, this does one better: only 2 easy steps! Mineral Springs takes only about 5 minutes per week to maintain and after your initial opening, it’s really more like 1 step. It doesn’t get any easier than that! When you’re first starting up your pool or just opening for the season, your first step is to add Beginnings. This special blend of essential elements is needed at start-up and to protect equipment throughout the year. It is made with the highest quality salt that will keep your pool beautifully clear. The silky feel of the water won’t irritate your eyes or dry out your skin or hair. Beginnings also contains stabilizers to prevent the sun from eating up your free chlorine and scale inhibitors to prevent build-up on your equipment. After your initial start-up, you can begin using your weekly dose of Renewal. By adding this regularly to the water, you’re replenishing your mineral levels and keeping your water balanced. You can even swim just 15 minutes after adding this product. Renewal also contains BioGuard’s SilkGuard Technology to soften the water and SunShield to protect the chlorine from the sun. The feel and quality of your water is improved even more by the built-in filter enhancer and water clarifier contained in Renewal. Chlorine generators occasionally get a bad rep for causing things like pH drift or scale build-up on your equipment. 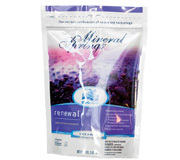 Mineral Springs is specially formulated to fight off both of these and it works with any type of chlorine generator. pH drift is really just a fancy way of saying that it causes your pH to go too high. Renewal off-sets this and works to balance your pH levels. It also contains scale inhibitors and filter aids, to extend the life of your equipment. Mineral Springs is great for any size, surface, shape or kind of pool. Do you travel a lot during the summer and worry about your pool? You won’t need to anymore. With Renewal, you can add advanced applications, so you’ll have one less thing on your mind while enjoying your vacation. And when you get back from vacation? A nice trip to your backyard spa will be great to ease you back into reality. To find out even more information on the Mineral Springs program, watch this video. ‹ Is SoftSwim the Best Chemical Program for you?